Home » Arch Linux , CentOS , Fedora , Gentoo , Graphic Tools , Knoppix , Puppy Linux , Red Hat , Ubuntu , Ubuntu Derivatives » Shotwell is an image organizer designed to provide personal photo management for the GNOME desktop environment. Shotwell is an image organizer designed to provide personal photo management for the GNOME desktop environment. In 2010 it replaced F-Spot as the standard image tool for several GNOME-based Linux distributions, including Fedora in version 13 and Ubuntu in its 10.10 Maverick Meerkat release. Shotwell can import photos and videos from a digital camera directly. Shotwell automatically groups photos and videos by date, and supports tagging. Its image editing features allow users to straighten, crop, eliminate red eye, and adjust levels and color balance. It also features an auto "enhance" option that will attempt to guess appropriate levels for the image. Shotwell allows users to publish their images and videos to Facebook, Flickr, Picasa Web Albums, Piwigo, and YouTube. Import photos from folders or from any digital camera or phone supported by gPhoto. Shotwell automatically groups photos taken at the same time. You can also use tags and ratings to organize your photo collection. You can rotate, crop, reduce red-eye, and adjust the exposure, saturation, tint, and temperature of each photo. Publish photos and videos to Facebook, Flickr, Picasa Web Albums, and YouTube. Fedora 17 installs Shotwell 0.12 by default. On Fedora 16 you'll need to build from source as described below. Shotwell 0.12 is supported on Fedora Core 16 and later. You can build Shotwell either from the source tarball (recommended for a stable release) or from our git server for the latest code. You need to execute make install as root (i.e. sudo make install) if installing to system directories. Shotwell 0.12 is supported on Ubuntu 11.10 (Oneiric Ocelot) and later. You can build Shotwell either from the source tarball (recommended for a stable release) or from our git server for the latest code. On Ubuntu 11.10 (Oneiric Ocelot) you'll need to install Vala 0.16 from the Vala PPA. Does Shotwell make permanent changes to my photos? In general, no, but there are important exceptions. See this page in our User’s Manual. Can I access a Shotwell library across a network, possibly from multiple machines? This is not recommended. Shotwell was not designed to support this use case, and the database can get into an inconsistent state. #1292 tracks progress on making this available in the future. How can I move my photo files from one directory (or hard drive) to another? First, make sure you’re running Shotwell 0.8.1 or greater. Earlier versions of Shotwell don’t support library monitoring, which is required for the following to work. Quit Shotwell. Move your photos to the new directory or hard drive. Then start Shotwell. You’ll see all your old photos go into the “Missing File” bin. Choose Edit → Preferences. In the Preferences dialog you can select the library directory. Choose the directory where all your photos now reside. Then press the Close button. It might take a minute (depending on the size of your library) but Shotwell should find all the photos and associate the objects in its database with them. You’ll need to be running Shotwell 0.9.0 or greater. A bug in older versions of Shotwell (#3132) prevents the following from working. Quit Shotwell. Move your photos to the new directory or hard drive. Then start Shotwell. You’ll see the moved photos go into the “Missing File” bin. As Shotwell discovers the photos, it will associate them with the database objects in the Missing Files bin and restore them. Start Shotwell on the new computer, open Edit->Preferences and make sure the pictures directory is correct. Make sure to copy all subfolders of both the Pictures directory and the ~/.shotwell directory. Note: Shotwell does not require your photos to be in a single directory. If the absolute paths are the same on the source and destination computers, Shotwell will recognize photos outside of the photo library ("Pictures") directory. If the destination computer's absolute paths are not identical Shotwell will mark those photos as missing; the easiest solution is to place the missing photos into the photo library directory. How does Shotwell rotate photos when they’re exported? Note that Shotwell is a non-destructive editor, so rotating a photo does not change the file immediately. However, when Shotwell exports a photo (with File→Export… or File→Publish…) it does rotate the photo. It can do this in one of two ways, depending on the circumstances. If the photo has not been transformed in any other way (no crop, color, or red-eye transformations) and the photo is being exported at its original size, Shotwell will not physically rotate the photo. Rather, it will set the Orientation field in the photo's EXIF metadata header. This field is widely recognized by most software. It indicates which way the photo should be oriented when presenting it to the user (that is, the software will rotate it on-the-fly). By using this field, Shotwell avoids having to decode, rotate, and re-encode the photo. In the case of JPEG, where each re-encode is lossy, this prevents loss of detail and crispness. If, however, the photo has been transformed in some way or it’s being exported at a reduced size, Shotwell has no choice but to re-encode the photo. It uses that opportunity to rotate the pixels as well. How can I search for an existing ticket about a particular topic? Click the word “Filters” at the top of the page. A search area will open. Enter a word in the Summary text box, then press Enter. You’ll see a list of all tickets containing the given word in their title. I found a bug in Shotwell. How can I report it? First, please check whether the bug is known already by searching this FAQ and the list of Shotwell tickets . If you don't see anything similar there, then congratulations: you've found a new bug. The most direct way to report it to the Shotwell developers is by filing a ticket in this system, which you can do by clicking the New Ticket link at the top of this page. Alternatively, if you're running the Ubuntu build of Shotwell you can use Help→Report a Problem to file a bug on Launchpad, Ubuntu's bug-tracking database. What version of Shotwell are you running? Are you able to make the bug happen repeatedly? If so, what sequence of actions causes it to occur? Install debug symbols for GLib and GTK+ if possible. On Ubuntu, you can do this by installing the libglib2.0-0-dbg and libgtk2.0-0-dbg packages. Type “run” at the (gdb) prompt. Make the crash happen or in the case of a hang, press Ctrl-C to return to the GDB console. Type “quit” at the (gdb) prompt. Attach the files shotwell.gdb and ~/.cache/shotwell/shotwell.log to the bug report. I just imported a RAW photo into Shotwell and it looks overexposed or underexposed, why is this and how can I fix it? Shotwell renders RAW images by picking some default tone mapping curves that work in most cases, but not all. If you shoot RAW+JPEG or even just plain RAW, your camera probably produces its own JPEG development of your RAW photo at exposure time, either as an associated JPEG file (in the RAW+JPEG case) or embedded in the RAW file itself (in the plain RAW) case. Since your camera presumably knows more about its CCD and the lighting conditions under which your photo was taken than Shotwell does, it's development will likely look better than Shotwell's. To switch your RAW Developer to your camera, if available, open the image you want to work with in single-photo mode by double-clicking on it. Then, under the "Developer" submenu of the "Photo" menu choose "Camera." Due to a known issue with Shotwell 0.11.x and 0.12.x, if "Camera" is already selected you might have to first switch the developer to "Shotwell" and then back to "Camera" again to force the change to take effect. I'm importing thousands of photos and Shotwell is using a huge amount of memory. Why? This was a known bug in Shotwell 0.7 (see #2566). Upgrading to Shotwell 0.8 should solve the problem. Why do my published photos not contain any geolocation information? By default, both Flickr and Picasa Web Albums remove geolocation information from uploaded photos for security reasons. To use geolocation information with these services, you have to explicitly enable gelocation support. Log into your Picasa Web Albums account. In the upper-right hand corner of the welcome page, click "Settings" then choose "Photos settings" from the drop down menu. Click the "Privacy and Permissions" tab. Ensure that the "Automatically map photos if they contain location data" checkbox in the "Location" section is checked. Click "You" in the menu bar that runs across the top of the page, then choose "Your Account" from the drop-down menu. On the account options page, click the "Privacy & Permissions" tab. Scroll down to the "Defaults for new uploads" section. Ensure that the "Import EXIF location data" configuration option is set to "Yes." Why can't I publish to one of my existing albums when uploading to Facebook? This was a problem with the way Shotwell 0.7 requested permissions from Facebook, and has been fixed in Shotwell 0.8. Open your web browser and log into your Facebook account. On the Facebook welcome page, click “Account” in the upper-right-hand corner and then choose “Privacy Settings” from the drop-down menu. Locate the “Applications and Websites” section in the lower-left-hand corner of the page that loads, then click the “Edit your settings” link. Click on “Shotwell Connect” in the “Applications you use” list. On the page that loads, click the “Remove application” link. Launch Shotwell and attempt to publish some photos to Facebook; you will explicitly have to re-authorize the Shotwell Connect application. Re-authorization should cause the fix to take effect. My mouse cursor is hanging every second or so when Shotwell is running. Why? This appears to be a problem with VirtualBox and USB mice. The full (closed-source) edition of VirtualBox passes USB devices on to virtual machines, and some users running this edition have reported this mouse cursor problem. Switching to the open-source edition of VirtualBox may help. See the comments at https://bugs.launchpad.net/ubuntu/source/shotwell/bug/555408 . When I run Shotwell it uses all my CPU and consumes more and more memory, but never starts. Why? This is most likely due to using the Aurora theme (see #3021). If you switch themes the problem should go away. If not, please file a ticket. Why doesn't Shotwell update images after they've been edited by an external RAW editor? If you open a file in an external RAW editor and save the changes as a new JPEG file, Shotwell will not see or import the JPEG. You can import it manually, or check the Watch library directory for new files option in Preferences, which will cause Shotwell to automatically import new JPEG files from the library directory. However, the new JPEG file won't be associated with the original RAW file. Something happened and now all my photos are missing, help! Assuming you didn't delete (or unmount) your pictures folder, there's a good chance you simply created a search filter and forgot about it. To see if this is the case, disable the search bar by hitting F8 or going to View→Search Bar. Note that the search bar is not persistent between Shotwell sessions in Shotwell 0.11 and above. When I run Shotwell I see funny messages on the console. Warning: Directory Canon, entry 0x0100 has unknown Exif (TIFF) type 768; setting type size 1. There are others, but these are typical examples. These messages are harmless. They come from Exiv2, the metadata library Shotwell uses to read EXIF/IPTC/XMP data from your photo files. Older versions of Exiv2 printed these messages whenever it encountered something odd or unexpected in the metadata it was parsing. There's nothing wrong with your photos; these message give clues to how Exiv2 is interpreting them. However, there was no way to control their output until Exiv 0.21. You can safely ignore these messages. However, if they bother you, you can upgrade to Exiv 0.21.1 and GExiv2 0.3.1. The messages are then rerouted to Shotwell’s log file. Shotwell doesn't seem to be able to connect to my Fuji or Nikon camera. Why? While there isn't yet a solution to this problem, there is a workaround: simply remove the memory card from the camera and connect it to your computer through a card reader. How can I back up my Shotwell library? There are two issues here: backing up your photos and backing up the Shotwell database. Backing up photos is beyond the scope of this question due to the size and quantity of the files. Wherever you decide to back up your photos, if you need to restore them, it’s best if they are restored to the exact location they were in originally so Shotwell can locate them. Runtime monitoring in Shotwell (available in 0.8) will do its best to locate files that have moved, but it’s simply easiest to restore your photos to the place they came from. Backing up the Shotwell database is easier. By default, Shotwell creates its data directory in ~/.shotwell (where the tilde represents your home directory). Inside this directory is the database file, thumbnails, and other files that Shotwell relies on for operation. If you have a large number of RAW files it can be large due to Shotwell generating mimics (JPEG files which can be used in place of decoding the RAW file). This will create a shotwell-backup.tar.gz file in your home directory. If you run Shotwell from a different data directory (using the -d command-line option), replace the ~/.shotwell with your custom directory. Note that this will destroy your existing Shotwell library directory, so use with care. Can I run Shotwell 0.11 on Ubuntu 10.10 (Maverick Meerkat)? Shotwell 0.11 is not officially supported on Ubuntu 10.10, but a community member has packaged it here. Can I run Shotwell 0.9.3 on Ubuntu 10.04 (Lucid Lynx)? Shotwell 0.9.3 is not officially supported on Ubuntu 10.04, but a community member has packaged it here. 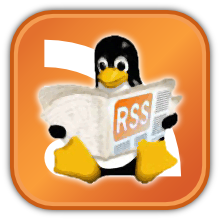 Why doesn't the latest version of Shotwell run on my Ubuntu Long Term Support (LTS) release (for example, Lucid Lynx)? Shotwell is under constant development to add new features and support for new technologies. Because of this, Shotwell often requires the latest libraries and desktop environment to build and run. *Cutting Edge ... *The benefit we gain from not introducing new bugs and/or regressions outweighs the new features and/or fixes. In short, an LTS is not intended to be updated with all the latest software as time goes on. In fact, an LTS is designed for the opposite, to be stocked with long-tested software and only upgrading them with critical and security-related fixes.